Played along in Splitcoaststamper’s Inspiration Challenge today. My intention for this challenge was to make a card to celebrate this Memorial Day weekend. But then I spotted a beautiful floral plate, and well… this happened instead. 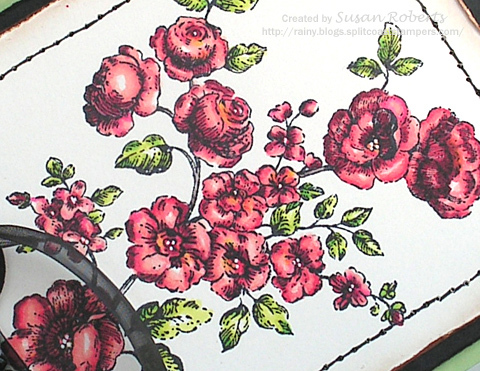 Here is the pink rose plate that was used as the inspiration. This was such a fun image to color! Tip: The centers of some of the roses are dotted with a white gel pen to help the flowers “pop”. Wonderfully coloured roses and I’m loving the black bling on the ribbon. Enjoy your long weekend. This is always such an eye catching image…and makes for a beautiful card! I love that little pop of white in the flowers, and those black pearls look awesome on the ribbon! Beautiful card! This is so gorgeous, Susan!! I love your coloring, stitching, and pretty pearl ribbon!! Susan this is beautiful. I love the way you added your bling to the ribbon. It looks great that way.. Your set is perfect for this card. Great coloring..
Beautiful, Susan! Love your wonderful coloring and stitching! Beautiful floral creation, Susan. 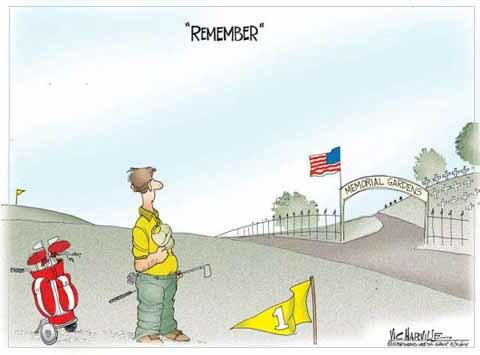 Happy Memorial Day…we remember and are thankful. I love your inspiration cards, Susan! These roses are so beautiful! Love how you added pearls! Oh how I adore the black outline stitching with this beautiful image! Truly sets it off! just beautiful! I have looked at that set many times…I guess I need to look at it again. LOL. How wonderful that this card happened! It’s gorgeous, Susan! Gorgeous, I tell you! Your coloring is sublime! Enough exclamation points here?!!!!!!!!!!!!! Susan, this is gorgeous! 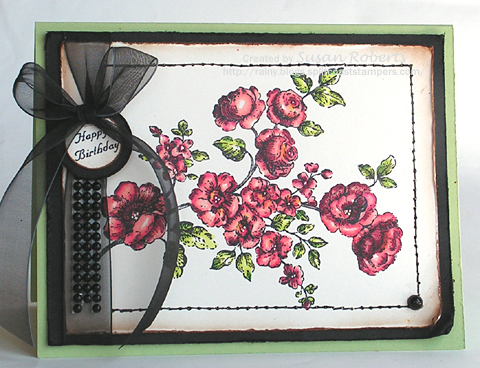 I love your coloring, and the layout with the black mat highlights the beauty of this card. And the ribbon and tag treatment are perfect! I have GOT to try this myself. It’s gorgeous!